Because you shouldn’t have to spend your vacation debating whether to do fun stuff... or eat, we rounded up 16 of the world's best museums that also happen to be free (or, at least, offer free days). 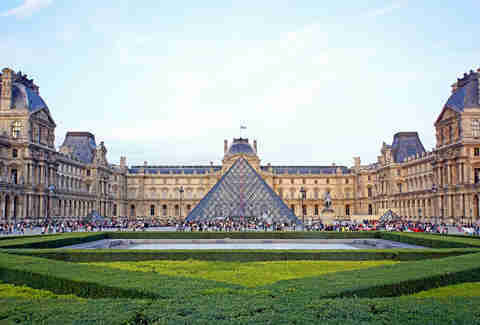 Of course, the Metropolitan Museum of Art is most famous as Queen B's perch in Gossip Girl. 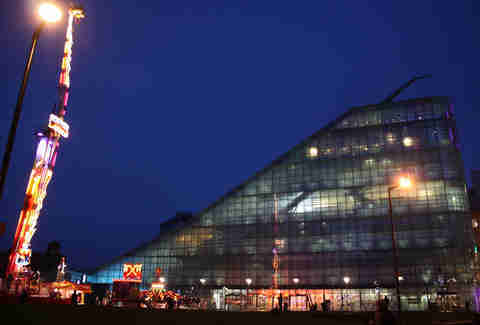 Or, as America's largest museum and home to over TWO MILLION ARTIFACTS ON 17 ACRES. We'll let you decide. Don't miss the sprawling roof garden (and its martini bar), which features a rotation of sculpture installations from artists like Jeff Koons and Andy Goldsworthy. Finally, and best part -- despite what you might have heard about lawsuits and the right to charge a fee, admission is STILL pay-what-you-want. 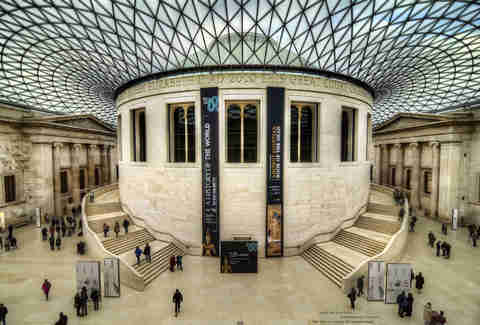 Founded in 1753 as a cabinet of curiosities, the British Museum isn’t just one of the world’s oldest museums, it’s also one of the largest. The permanent collection includes over eight million pieces -- ranging from Egyptian mummies to the Rosetta Stone to 4,000-year-old currency. 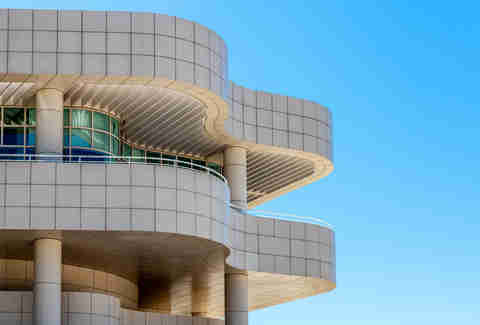 Cool architecture, beautiful gardens, and sick views make the Getty a popular LA hangout. And the art -- a blend of 19th-century European paintings, American photography, sculptures, and manuscripts from the Middle Ages, among a ton of other works -- ain’t bad either. 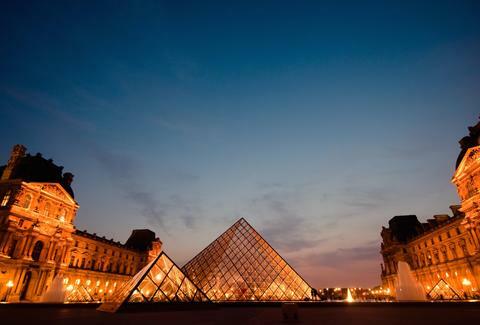 Pretty much the most famous museum in the world, you kinda have to hit it when you’re in Paris. Luckily, the daunting museum (it would reportedly take nine months to see all 35,000 works of art) is free every first Sunday of the month, so you won't feel like you wasted $13 when you see how tiny the Mona Lisa is. 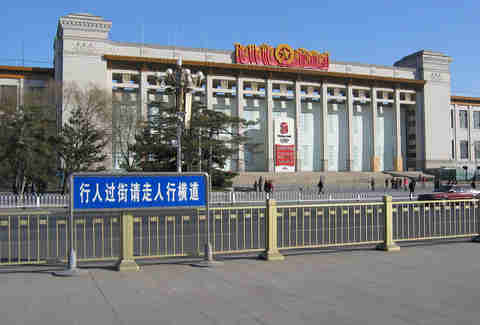 This massive museum on Tian'anmen Square is your go-to for everything Chinese. 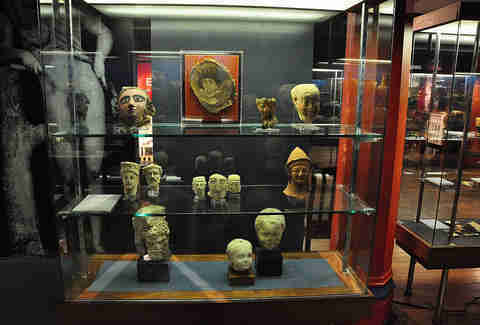 From Yuanmou Man (China's first homo Erectus who lived 1.7 million years ago), to the last imperial Qing Dynasty (which ruled from 1644 to 1912), to the present day, the permanent collection here houses over a million items. Home to the world’s largest collection of airplanes, rocketships, and spacecraft, the Smithsonian Institution's National Air and Space Museum attracts a whopping nine million aviation nerds a year. 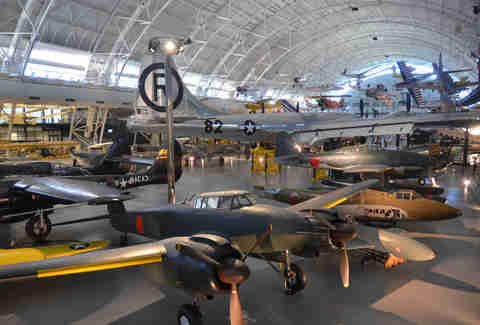 Highlights include the A-bomb-dropping Enola Gay, the Bell X-1 Chuck Yeager flew to break the sound barrier, and the Apollo 11 command module that landed on the moon. 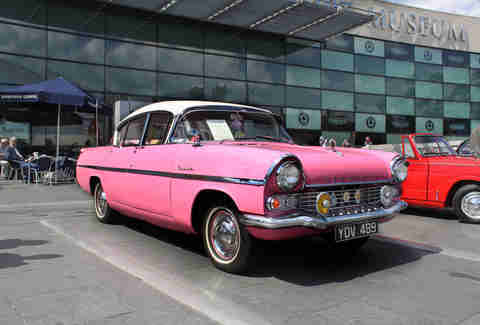 Gearheads will overheat when they spy the museum's collection of over 240 British cars (plus 100 motorcycles and 200 bicycles!) that chronicles 150 years of the British automotive industry. Your tour includes a walk through history -- complete with 19th-century streets with horse-drawn carriages -- and even includes crazy futuristic cars like the DeLorean DMC-12 and ThrustSSC. 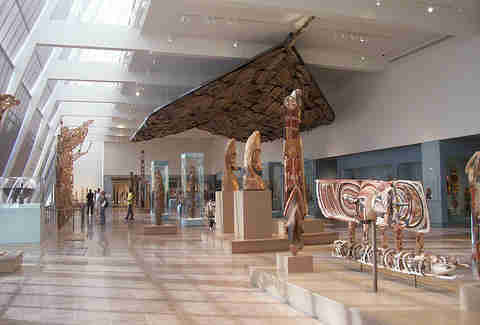 This is Sydney’s oldest museum and home to the largest collection of antiquities in the Southern Hemisphere. Indiana Jones -- were he real, alive, and Australian -- would feel right at home among its 30,000 archeological artifacts. 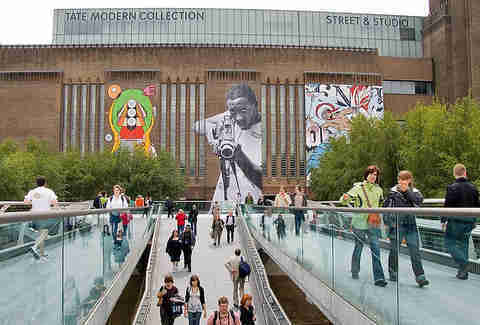 Britain’s national gallery of modern art is housed in a converted power station, and is one of London’s most visited attractions. It rocks modern and contemporary works dating from 1900, and includes heavy hitters like Andy Warhol, Roy Lichtenstein, Salvador Dali, and Mark Rothko. Founded in 1977, the Daimler Collection boasts over 1,800 pieces of art and design (including photography, fashion, and furniture) from over 600 international artists. 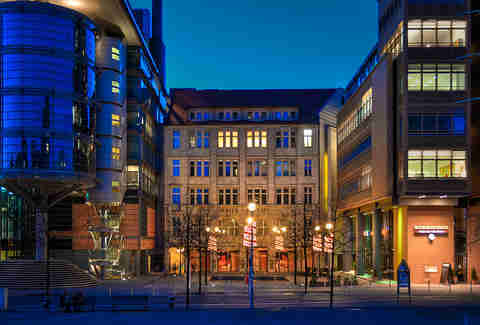 It's also located inside the historic Haus Huth on Potsdamer Platz, one of the only buildings in the area from the Imperial period to survive WWII almost untouched. 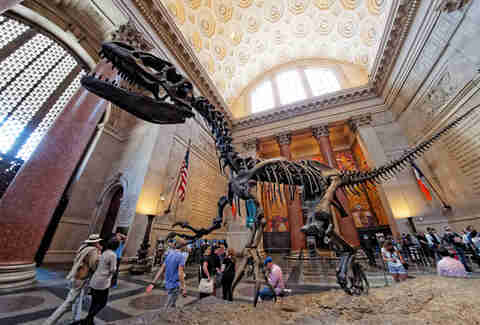 A surreal world of giant dinosaurs, dioramas, floating whales, and stars (there's a planetarium on site, not to mention a Butterfly Conservatory with 500 live butterflies), the Museum of Natural History is the largest museum of its type in the world and features over 32 MILLION artifacts. Then again, you may know it best as the museum in those zany Ben Stiller movies. Either way, it's pay what you wish. 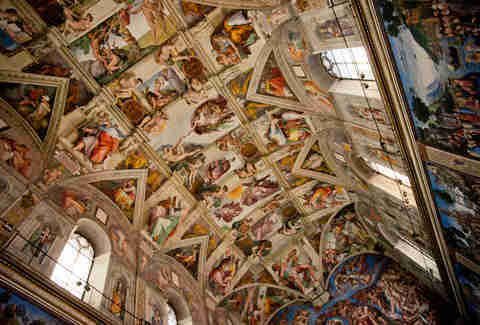 This collection of 54 galleries inside Vatican City features world-famous sculptures and Renaissance masterpieces by the likes of Michelangelo, da Vinci, and Raphael. Free to visit on every last Sunday of the month (as well as on the feast day of St. Vincent de Paul, the patron of charity -- September 27th), admission even includes access to the Sistine Chapel. 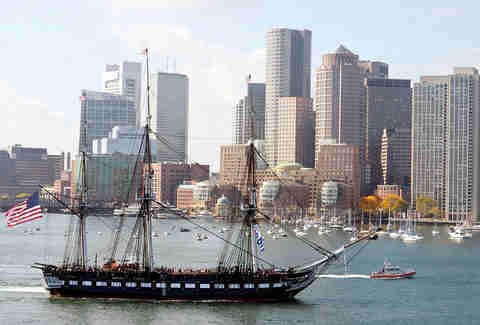 Docked at the Charlestown Navy Yard on Boston Harbor, America's oldest warship (a three-masted frigate launched in 1797) earned her nickname "Old Ironsides" during the war of 1812. Today, you can climb aboard (and down below) on a free tour, and the museum is full of salty, seafaring history. Learn everything you could possibly want to know about the other football at this free museum in Manchester, where over 140,000 pieces of sports memorabilia are on display, including famous player jerseys and the ball used in the 1966 World Cup Finals. You can also put your soccer skills to the test at the museum's Football Plus+ interactive station. 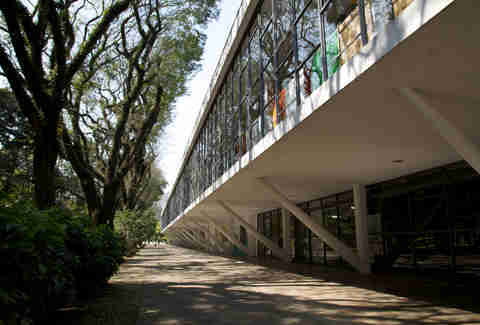 This museum, which examines the influence of African culture in Brazil, was designed by famous local architect Oscar Niemeyer, features more than 6,000 pieces of art/photography/jewelry, and is free on Thursdays and Saturdays. 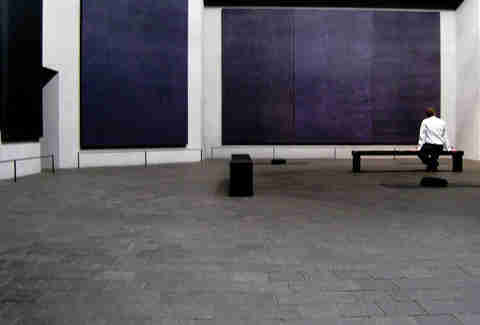 This non-denominational chapel/modern art exhibit (the building is the art) opened in 1971, features fourteen Mark Rothko paintings, and encourages its 80,000 annual visitors to just sit and meditate. So, there you go.